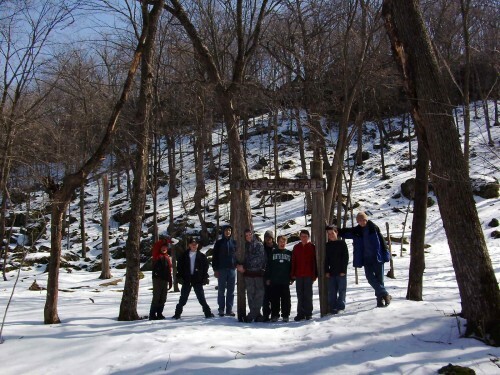 This past weekend, I accompanied Troop 313 on a winter camping trip to Fred C. Anderson Scout Reservation. 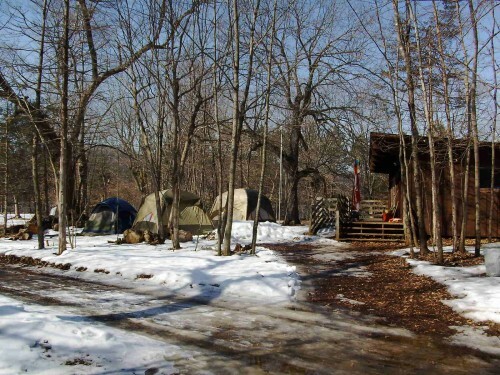 The scouts camped in tents on the frozen ground for two nights and three days. The first night was cold, with temperatures falling into the single digits, but the second night was balmy, with temperatures in the twenties. The boys love the adventure and problem solving this campout presented. How do you stake your tent when the ground is frozen? How do you deal with condensation in your tent? Can you be comfortable without a furnace? Am I smart and tough enough to handle the cold? How does teamwork make difficult situations easier and more fun? The scouts explored the bluffs along the St. Croix river on Saturday. 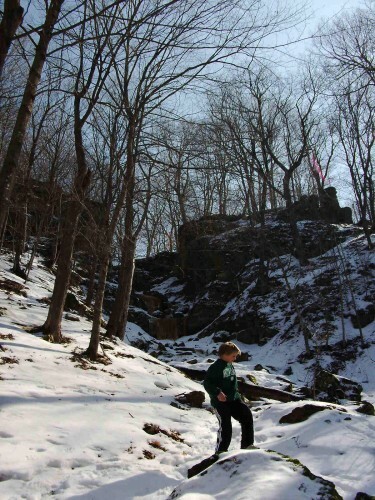 Climbing high on the slopes, they reveled in peeking inside caves and watching a frozen waterfall come to life. The waterfall was almost magical; as we passed it the first time it was cold and dead. As we came back past it, we heard the sound of moving water and watched as the first foamy flow pushed over the ice and made its way to the river. Spring has sprung! sang one delighted scout. These outings are terrific venues for learning, confidence building, and creation of great memories. We welcome you and your son to join us in the adventure.